As part of the United Kingdom, registration marks issued in Northern Ireland can be transferred to vehicles in England, Scotland and Wales. Plates on vehicles registered in the Republic of Ireland are not eligible. Northern Ireland has its own distinct number plate registrations, 1, 2, 3 or 4 numbers, paired with a block of letters that always contain an I or Z. The letter combinations work as an original area-identifier; for example, Enniskillen was originally allocated "IL" marks. These were followed by AIL, BIL, CIL, DIL, EIL, etc. Northern Irish reg can be placed into the 'dateless' category of number plates, meaning you can assign them to roadworthy vehicles of any age. This has led to them being used as convenient "cover" plates. In other words, these plates can be used to disguise the year of your vehicle. A cheap Northern Irish number can make a less costly alternative to the more expensive dateless number plates. Even with the I or Z character in the letters, there's a good selection of combinations available that make appealing matches to names and words such as ANZ, DAZ, BIG, EDZ, DIG, MIL, RIA and so on. How do I transfer Northern Irish Number Plates? National Numbers have been buying, selling and arranging the transfer of Northern Irish registrations for many years. We were amongst the first to develop the market in NI number plates and have our own collection of registrations administered by our NI representative. We also organise the sale of Irish numbers owned by members of the public. If you purchase an NI reg from us, the transfer will occur in exactly the same way as if you'd purchased a GB registration. If anything, it's simpler - as you don't need to worry about choosing an age appropriate reg for the vehicle! From start to finish, from accounts to sales staff, very smooth and very fast. I have already recommended NN to friends. Brilliant all the way around, helped me find the number plate I wanted even though it wasn't on the list. Sorted out everything. I would recommend. The personnel were always very efficient in every way. I would recommend National Numbers to anyone looking to purchase a cherished number plate. From the first text to the deposit into my bank account I can find no fault. Great instructions. Smooth and easy transaction. Would recommend. A huge range of previously un-issued registrations will be arriving in May. First come, first served - don't miss out! Looking to finance your purchase? We have a number of interest free payment plans for you to choose from. Spread the cost over 6, 9 or 12 months. Pick up a bargain registration! Northern Irish plates from just £136 (fully inclusive of VAT and transfer). Limited stocks and selling fast! 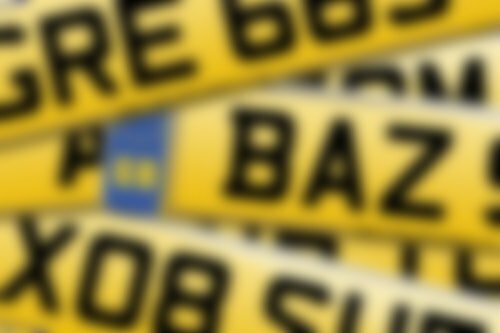 Looking for an answer to a question about number plate transfers? We've compiled a list of some of our most commonly asked questions, you might find your answer here! We pride ourselves on customer satisfaction, with friendly staff available on the phones 7 days a week. Check out what our customers had to say about us. Craig from National Numbers managed to get me 2 matching number plates by requesting then to be released to auction by the DVLA. I was sceptical at first but they came through for me getting me my number plates for a very reasonable price at auction. I cannot recommend them highly enough! Sold my plate through National numbers, took care of all the paperwork and got a fair price for my plate. Would highly recommend them and would have no problem in dealing with them again. Phil was a great help, made the purchase of my new plate very easy. Recommended. I received a great service from National Numbers, we were faced with a few challenges but National Numbers sorted them and nothing was a problem. I'm so pleased with my new reg - it was the one I wanted.